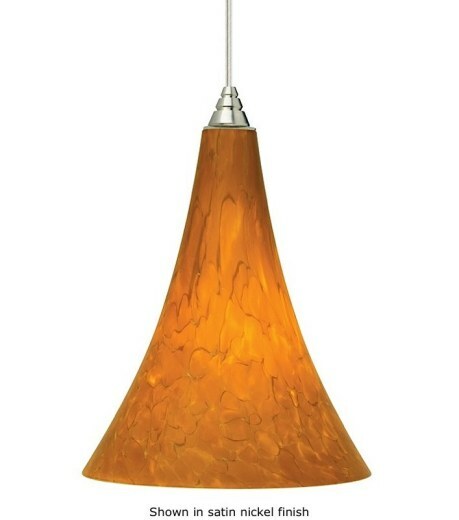 The artfully created Melrose pendant features handblown glass in a graceful shape. 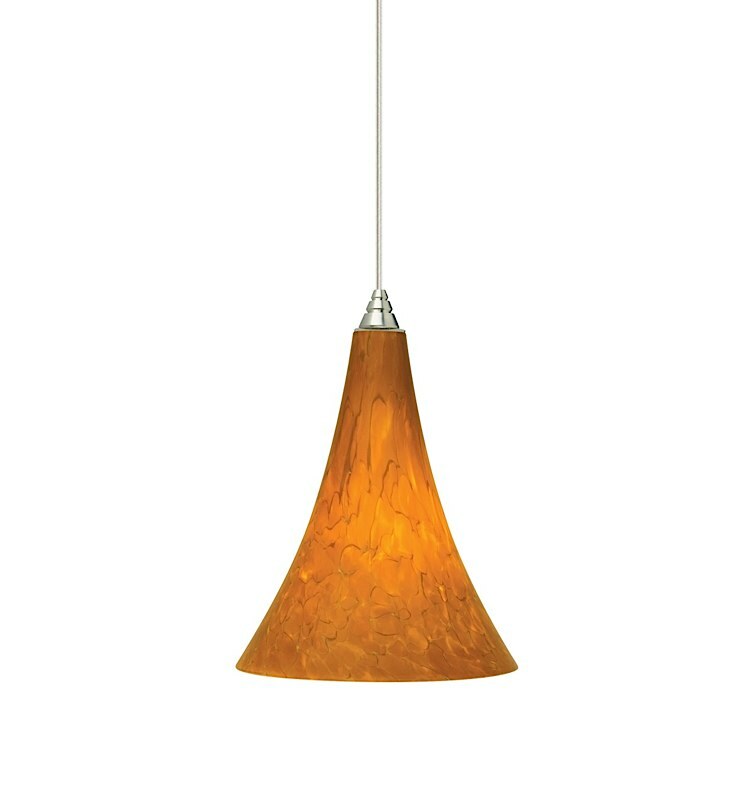 With beautiful and brilliant color, this mini pendant will make a eye-catching acccent for your kitchen, retail space, or other area. Suspended from a round canopy, the pendant comes in four finishes. Black, satin nickel, and white canopy options include satin nickel top detail; antique bronze includes antique bronze detail. Select between incandescent or flurorescent lamping: 120V 60W mini-cacandelabra base lamp or 18W GX24Q-2 base triple tube compact fluorescent lamp (electronic ballast included). Incandescent version dimmable with standard incandescent dimmer (not included). Six feet of field-cuttable cable is included. This product can mount to either a 4" square electrical box with round plaster ring or an octagon electrical box.